I just wanted to promote what I see as one of the best forthcoming meetings in Antwerp (November 2017). The International Fluid Academy meeting! This 3 day meeting promises to fill your eager brains with masses of the latest evidence, key pearls and key discussion points from a wealth of high-end speakers. Click the links below (or the link in our courses section) to take a look at the site and explore / sign up. See you there in November! On to the main blog! Here is a really brief overview of what I considered to be some of the best out there on #FOAMed and #POCUS over the last 48hours alone!! 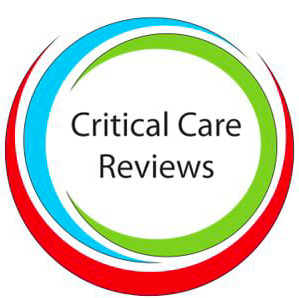 More to come and coming soon, my blog from the 14th Critical Care Symposium – Manchester #14thCCS. Get rid of that pesky CO2!! Have a look at another of Jon Downham’s blog pieces on this. Well worth a read and nice table of trial in’s and out’s too. Have a look at another fantastic blog from Dr Smith! Brilliant echo images and serial ECG’s with a twist. Should we use GCS…should we??! Here, the good old GCS is briefly discussed. Just for Trauma…take a look! Snort to get rid of that nausea!! Take a look at this paper looking at inhalation of a compound that in excess (saturday night fever! ), causes nausea. But up the nose, may receive it. Interesting. We have tried ethyl chloride for intractable hiccoughs, now this! I can see rolled up alcowipes being put up a lot of noses in recovery…although not validated in this subset! Plough in the Amiodarone…watch the liver! We all use it as first port of call for most ITU arrhythmias these days (speaking for myself that is!). But watch the consequences! Severe acidosis..how low can you go! An excellent and memorable talk from Jon Ilicki well worth a listen to on post arrest pH and what you may have NOT done before! Have a look at this nice piece from Sarah Brusker on the myths of ‘SVT’. He’s been at it again!! Here is Dave Lyness’s take on CXR interpretation. He has built a compendium of fabulous stuff, particularly geared to the FRCA. Well done! Another Troponin…how many do we need?! Another cracker from the crew at USOW!! Take a look at this episode. Again, brilliant images demonstrating the usefulness and power of #POCUS in the diagnosis and management of patients! Have a look and test yourself without revealing the PEARLS! Ketorolac…the ‘Special K’, of NSAID’s?? There has been a lot going on out there looking at the efficacy and reliability of various NSAID’s and Ketorolac is the Ketamine of NSAID’s it seems…or does it?! An amazing site…not for sore eyes though! I would like to point out this site. A lot of work has gone into this and their tutorials are fabulous! We may have mentioned this before…but REVERT to convert! The modified Valsalva seems to now be the possible key to better vagal manoeuvre success..
POCUS…not too hard though, there are rib fractures! Another use for #POCUS where what you can’t see traditionally hits you, well, in the ribs! You’ve got the tube down…but don’t relax yet! AH SHITE! Do you or don’t you need to do a CT brain before performing diagnostic LP?? The debate unfolds here. So he does the best presentations! Well…possibly. Listening to him certainly highlighted I certainly didn’t…until now! Have a look at Ross’s fabulous talk below. Thanks for coming to us at NGH last week Ross. More great work from Jon Downham here. You have to take a look at these! They re a brilliant aide memoire for everyone, whether exam prep or not! Great work! Something we forget, long-term weaners, but there is also chronic critical illness! Thanks to EMBasic for these notes on hyperthermia and it’s immediate management. More quality #POCUS…CO measurement (with an awful cheesy track too)! Here is a brilliant section on AKI from the EMDocs. Good chats on qSOFA, the elderly and much more here. The research is wrong…or so Louise Cullen says! The BVM is Bread & Butter! Surely?! The BVM is absolute bread & butter for all, especially anaesthetists. But do we do it properly…read on and perhaps feel the blood rush to your face! Fab POCUS – click the pics! That’s all for now…hope to see you all at #14thCCS.